Lay the wrappers out and spread the mayo onto the center. Add the lettuce, tomato, cucumber, cheese, chicken over the mayo. Season with with lemon juice, salt and pepper. Tuck and fold the wrap, place in a pan, and fry for a couple of minutes until golden brown. 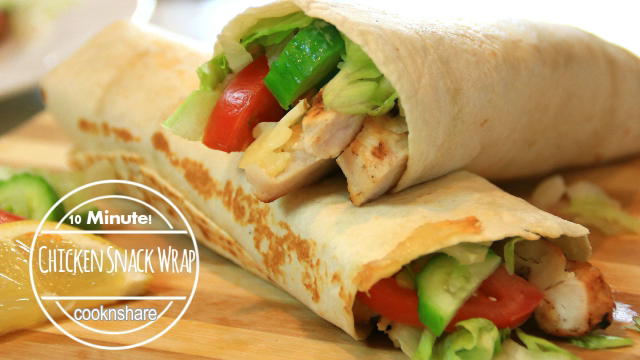 Serve and enjoy you ten minute chicken snack wraps.